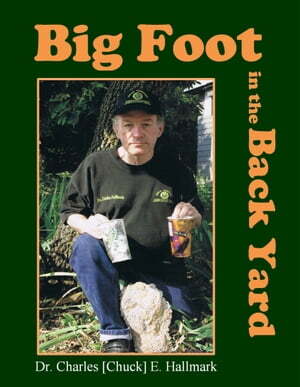 Collins Booksellers - Big Foot in the Back Yard by Charles Hallmark, 9781310267833. Buy this book online. This delightful and informative book records and reflects the adventures, ideas, thoughts, and information that Chuck wanted to leave to his family and friends. All events are true, all photos are genuine. Chuck respected the power and the intelligence of Big Foot, but saw and found no danger in the creatures he encountered and hoped to leave that image for the world. Chuck died in 2008 after enjoying 30+ years of interaction with these creatures, gathering foot print molds and fingerprints as well as other evidence. He had great respect and regard for the BF clubs, groups, and individuals.